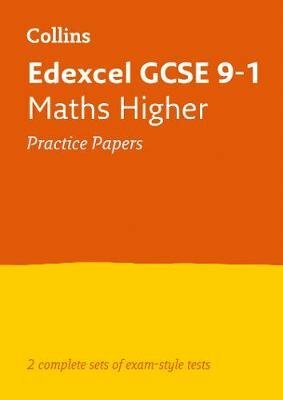 Exam Board: Edexcel Level: GCSE Subject: Maths First Teaching: September 2015; First Exams: June 2017 Get ready for the 2019 exams using Collins Edexcel GCSE Grade 9-1 Maths Higher Practice Test Papers. Exam-style test papers provide realistic practice to fully prepare for the GCSE 9-1 exam. The book contains two full sets of up-to-date practice test papers with answers included at the back.